Does "Wii Fit" Help in Losing Weight & Toning? 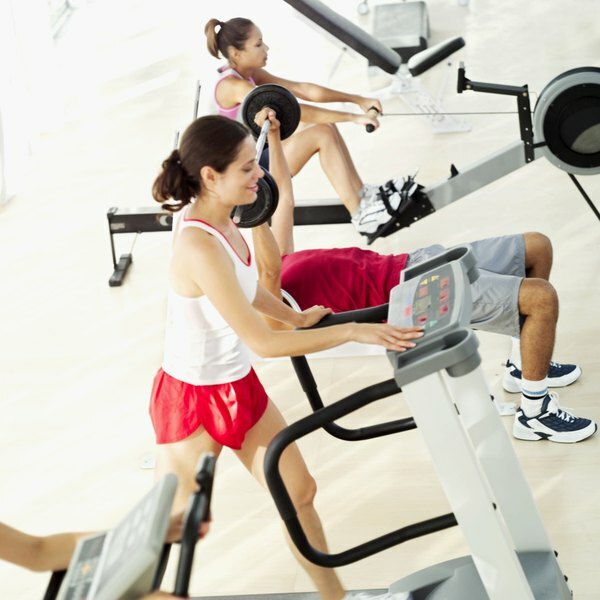 Everyone goes to the gym for different reasons, ranging from strength gains to weight loss. Whatever your fitness goals, there are additional benefits to staying physically active that directly influence your overall health and wellness. However, you must stay committed to a consistent exercise and fitness routine to maximize your fitness level. A primary benefit to staying physically fit is improving your body systems' function. For example, your cardiovascular health improves through a stronger heart, resilient blood vessels and decreased blood pressure. Other health benefits include improved mood and self-confidence, along with increased energy levels. A well-rounded routine that includes aerobic fitness, strength training and flexibility exercises is ideal for improving overall health. Staying physically fit allows you to burn calories and shed excess body fat. Along with burning calories and body fat, a routine exercise program helps to boost your metabolic rate, or the speed at which your body burns calories. As a result, your body starts to burn more calories both at rest and while at work, which ultimately helps you maintain a healthy body weight. You can reduce the potential for a variety of illnesses and injuries by staying physically fit. With improved fitness, your risk for diabetes, cancers and cardiovascular disease are all decreased. Other benefits include blood pressure moderation, reduced cholesterol levels and a reduced risk for arthritis and depression. Athletes and other competitors stay physically fit to maximize athletic performance. The sport-specific training programs include various phases according to playing season, each with the ultimate goal of maximizing an athlete's overall fitness. To maximize performance and fitness, each phase of the training programs include exercises and movements that build general physical skills -- cardiovascular endurance, stamina, strength, flexibility, power, speed, coordination, agility, balance and accuracy.